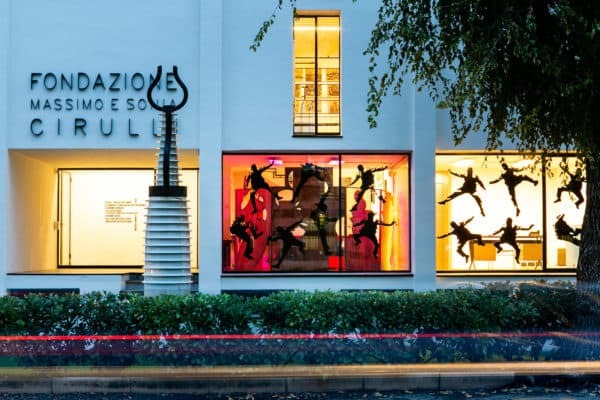 On February 2, 2019, on the occasion of ART CITY White Night, Via Emilia, a road that has historically represented a pivotal node in the encounter between cultures, will become a cultural district where art, food and design will come together thanks to a dialogue between Fondazione Cirulli, Sulla Via Emilia Restaurant and Reverso Forniture. During the White Night, the exhibition spaces of Fondazione Cirulli will become the exceptional stage for the declamation of some among the most irreverent Futurist manifestos, in collaboration with San Lazzaro di Savena's Teatro dell'Argine. A perfect dialogue between poetry and theater, the letters, typography and onomatopoeias that characterize the most famous literary pages of Futurism will come back to life thanks to the voice of professional actors.